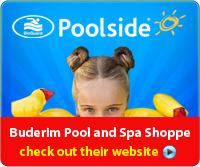 Step by step guide on how to order with www.ozpoolsupplies.com.au. 1: Add this item to your shopping cart. 8: You are then taken to the review and place order page. Check all your details and enter any notes you wish to add. Then select the check box for terms and condions. You can now select place order. 9: Your order will be placed and you will now be directed to our paypal page where you can decide to pay by credit card OR your paypal account. 10: If you are NOT paying by paypal you can use your credit card to pay by following these instructions - you select I DO NOT HAVE A PAYPAL ACCOUNT. You will then be asked to enter your credit card details, expiry date and CV number. When you get down to the section for your contact number please remove the 61 from the second box infront of your telephone number (its already in the first box so is not required). review and continue. This will now load and open up a page for you to check all details, once you are happy select pay now. It will process your payment and once sucessful on the left hand side of the page will offer you a print receipt option. 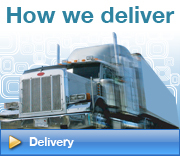 On the right hand side you can be direct back to the ozpoolsupplies website. 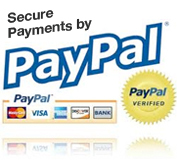 11: IF you are paying using your paypal account then you simply select you have a paypal account you need to enter your email address and log into your paylpal account from this page. 12: IF THE PRODUCT YOU ARE TRYING TO BUY IS ONE THAT DOES NOT HAVE A PURCHASE PRICE AVAILABLE then please contact us for a price you can then either pay by telephone with your credit card OR place your order via email or telephone and we can send you an invoice from our paypal account for you to pay online through paypal or credit card. 13: Once your order has been placed you will receive the following emails. The first to confirm the order has been processed. If you pay online you will receive an email from paypal to confirm payment, you will receive an email once the item has been shipped which will have your tracking number entered onto the documents. A final email to confirm completion of your order once you have received your item/s. Please be aware goods sent with instructions to leave and not signed for are at customers own risk and can not be claimed as damaged goods against ozpoolsupplies or the courier. We ALWAYS recommend goods are signed for and inspected upon delivery, and if a box or packaging is damaged it is noted on the couriers delivery docket.